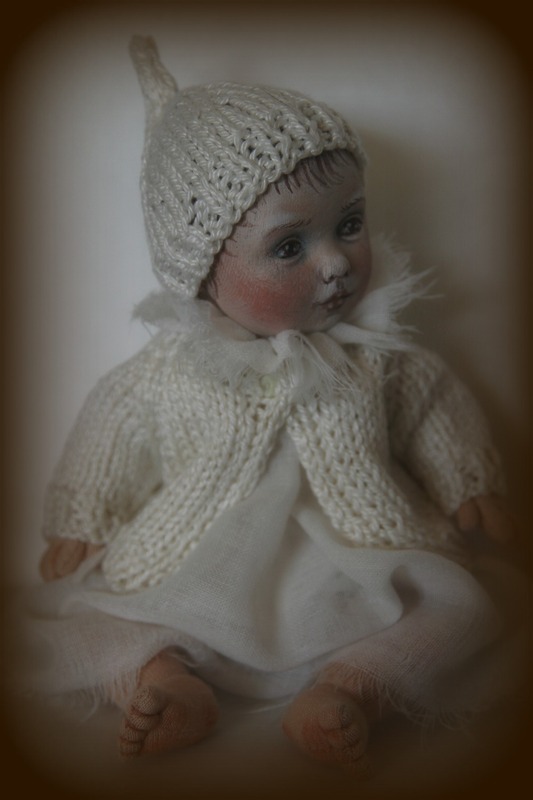 I've been making dolls professionally since 1972 as part of my greater arts practice. I've seen the doll-making community grow from almost nothing to what it is today - a wonderful, diverse, engaging and supportive world-wide fraternity. I see the advent of the internet as the great enabler - without it sharing is so much more difficult! Over the years, I have experimented with many different media to make my dolls and I have finally settled on a few techniques that suit me and what my dolls are trying to say. These days, most of my dolls have sculpted hard heads, usually of air-dry clay covered with a layer of cloth and carefully painted with either oils or acrylics. I generally make some kind of cloth body - jointed or not as my vision for a particular piece dictates. As I am also a sculptor, I find that there is quite a lot of cross-fertilization between the two main disciplines of my practice - they inform each other to a great degree, in fact, even to the extent that some of my work seems to fit in neither strand entirely, but is something other......I'm fine with that! 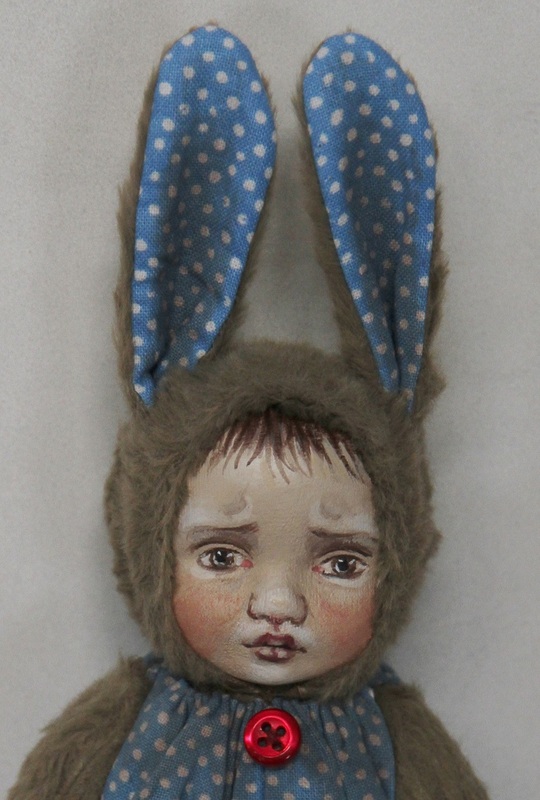 I think a great number of art dolls are in a separate category somewhere between "doll" and "sculpture"
What attracts me mostly to doll making is the engaging nature of the finished product; usually tactile and begging for interaction. 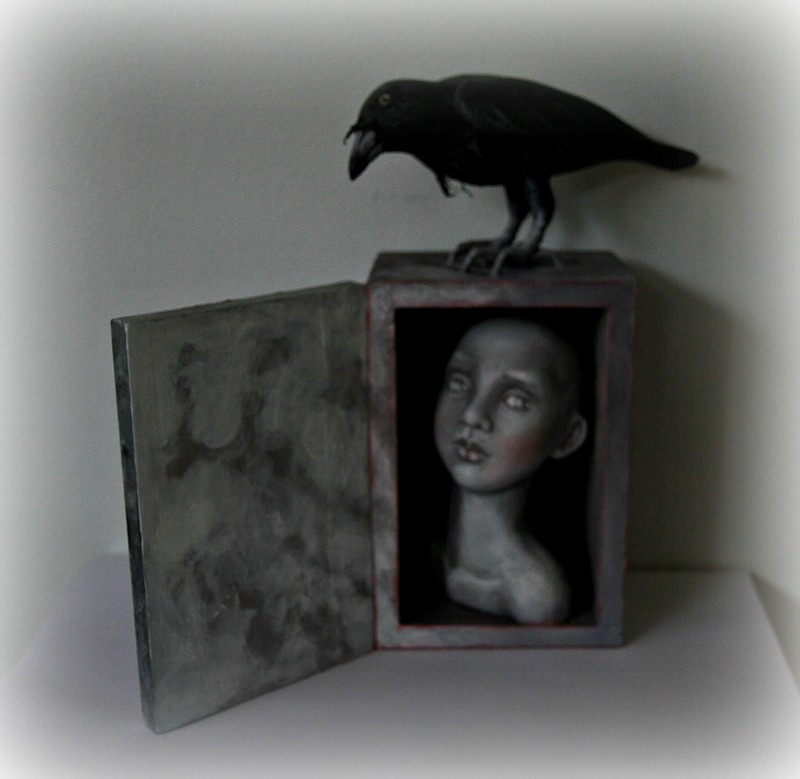 The communication between the maker and the viewer is sometimes quite visceral and very direct. None of the aloofness of "capital A Art" here! I live in Australia's beautiful, but somewhat remote island state of Tasmania and apart from working at my art, I like to garden, read, walk, cycle and take photographs. I'm also in the middle of renovating a mid-century house I bought in 2016 - and having much more fun doing that than I could have imagined possible!